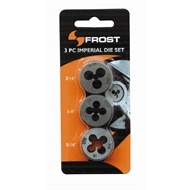 Frost hand tools and power tool accessories offer quality workmanship, durability and great value for the serious DIY'er, home handyman or trades person. Tap & Die are versatile cutting tools used to create screw threads. Taps cut a thread on the inside surface of a hole, creating a female surface which functions like a nut. The die cuts a thread on a preformed cylindrical rod, creating a male threaded piece which functions like a bolt. 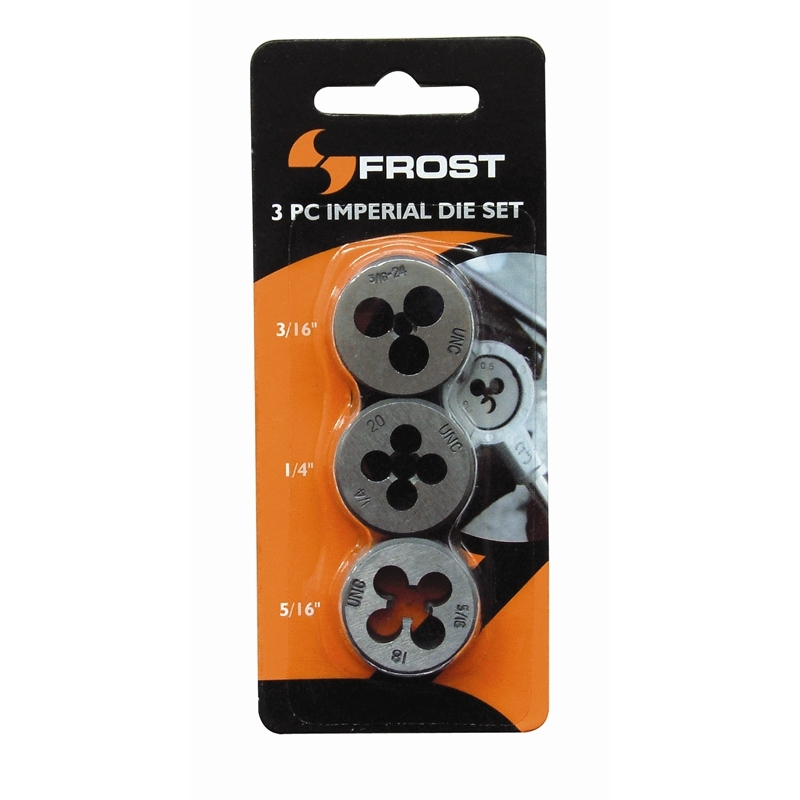 This 3 piece imperial die set contains 3/16, 1/4, 5/16 sizes for a range of threading needs.